Lenovo launched Lenovo K3 - Dual SIM cheap 4G supported Android Smartphone. Lenovo K3 has 5 inch IPS display and is powered by 1.2GHz Quad-core Qualcomm Snapdragon 410 processor along with 1 GB RAM and runs on Android KitKat 4.4.2 OS. 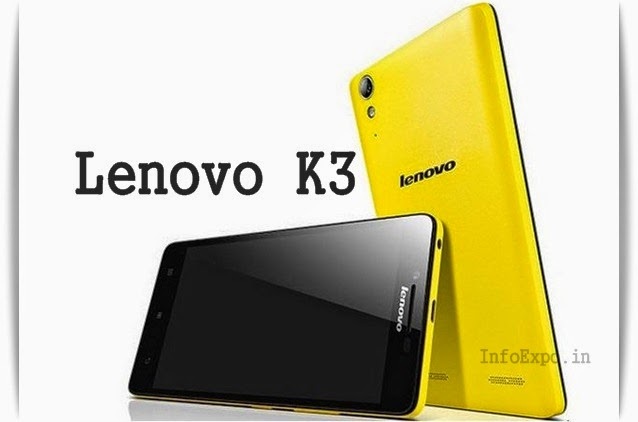 Here is the Specifications and features of Lenovo K3.